This would be the "D Wins" Scenario. 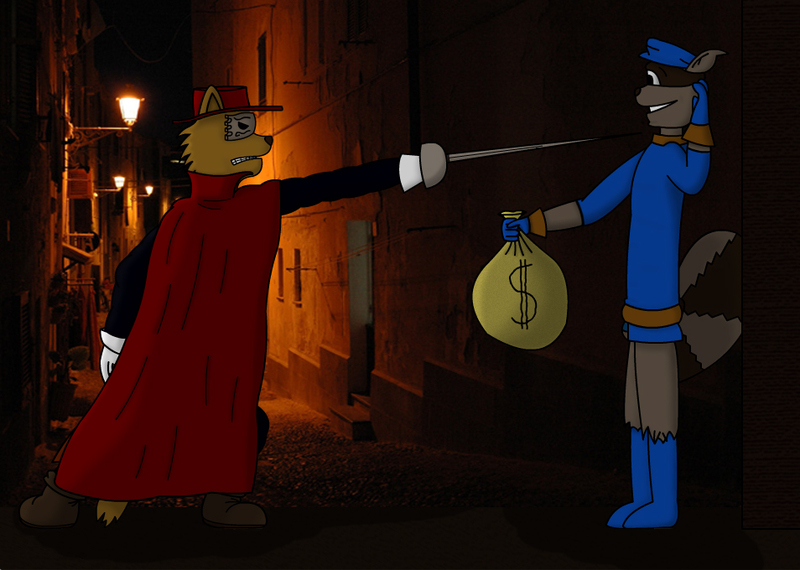 Sly has just been caught at knife or blade point by D and now seems willing to give back the most stereotypical of stolen goods, a bag of money. I do have a "Sly Wins Scenario" in mind, though I may need ideas on the best way for D to be dealt with by someone like Sly Cooper.